You will receive what is pictured. Product is unused. Gorgeous 'Good Vibrations' pattern with vibrant colors and bold patterns, kind of modern Southwestern style. Material is 50% Combed Cotton / 50% Polyester, No Iron Percale. Made in USA. LOCATION IN NORTHWEST, USA. Fabric Type: Percale CVC (Chief Value Cotton) 60/40. Thread Count: T-200. Finish Size: 90" x 110". For a small difference you are getting a product with a much longer durability, stronger fastness and better optical brightness. Most coveted by duck and. has various grasses found in a marsh with a few rust leaves that. the marsh and grasses. Stunning pattern with many decor options. his duck blind taking photos of all kinds of birds, ducks and geese. Fabric Type: Percale CVC (Chief Value Cotton) 60/40. Thread Count: T-250. 54" x 80" 15" (POCKET). Finish Size For a small difference you are getting a product with a much longer durability, stronger fastness and better optical brightness. 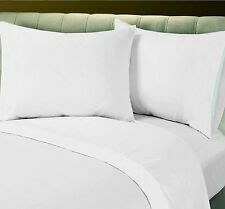 Fine Cotton/Poly Blend 300 Thread count STANDARD PILLOWCASE in WHITE ONLY! Check out our CHARACTER INSPIRED T-SHIRTS for your FAN also! COLOR OF TEXT CAN BE CHANGE TO ANY COLOR YOU DESIRE. MAKES THE PERFECT GIFT FOR ANY FAN! Egyptian Comfort Luxury 4 Piece Deep Pocket Bed Sheet Set, King, Brown !!!!!!!!! 1800 Thread Count 100% Egyptian Comfort 4 Piece Bed Sheet Set Fits Deep Pockets. 1 Standard pillowcase that has a tan background and black bears. of his bear brothers. Perfect if. There's only 1 Standard pillowcase in this pattern. roaming in their natural habitat. See the bears climbing a tree or. Fabric Type: Percale CVC (Chief Value Cotton) 60/40. Thread Count: T-200. Finish Size: 108" x 110". For a small difference you are getting a product with a much longer durability, stronger fastness and better optical brightness. Fabric Type: Percale CVC (Chief Value Cotton) 60/40. Thread Count: T-180. Finish Size: 90" x 115". For a small difference you are getting a product with a much longer durability, stronger fastness and better optical brightness. Fabric Type: Percale CVC (Chief Value Cotton) 60/40. Thread Count: T-180. For a small difference you are getting a product with a much longer durability, stronger fastness and better optical brightness. 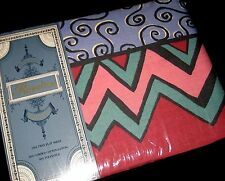 Here is a group of 3 vintage / new-old-stock twin size bed sheet items in the original packaging. This is not a set - there are 3 different floral patterns and different brands. Items do not match. There is one flat twin sheet, one fitted twin sheet, and one package with two standard pillowcases. Made in U.S.A. Care instructions: Machine wash, tumble dry, remove and fold promptly. Unopened packaging show light storage wear, no musty or smoke odor. The sheet packages have a price sticker or scrap, and the pillowcase package has a tear from a removed price sticker. Disney Doc McStuffins (1) Pillowcase Bandage Print. Climbing into your bed and snuggle up in these easy care fun bear. The combination of natural habitat and wildlife make for a beautiful. addition to your bedroom ensemble. Get this set of sheets as a. New, never opened Disney Marvel Comics Classic Avengers Full Sheet Set. Machine wash cold. Tumble dry on low. 2 Standard Pillowcases for 20in x 26in pillow; 20in x 30in finished size. 200 Thread Count. COLOR OF TEXT CAN BE CHANGED TO COLOR OF YOUR CHOICE FOR EVEN MORE CUSTOMIZATION FUN! Check out our CHARACTER INSPIRED T-SHIRTS for your FAN also! Extra pillows on the bed or bring Whitetail Dreams along in the. 2 Standard pillowcases that has a tan background and Bucks. it for yourself. Colors may. Luxury 3 Piece Duvet Cover Set at an affordable price! 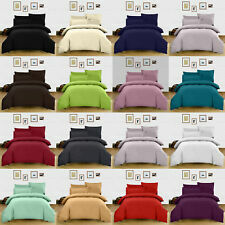 Enjoy & wrap up yourself in these carefully crafted 100% brushed velvety microfiber Duvet Cover Set. • Pairs easily with Utopia Sheet Set, Pillowcases, comforters and bed skirt. So very nautical! -Machine wash.
Beautiful Whitetail Dreams California KING sheet set. The sheets are tan in color with the whitetail. Blue Ridge Trading Sheet Set. 1 California King Fitted Sheet 72"x 84" (183cm x 213cm). 1 California King Flat Sheet. MicroTouch Sateen King Pillowcase (Set of 2) in White. The cotton blended sheets are naturally wrinkle free wash after wash and dry quickly, letting you get them back on your bed for continued comfort. Beautiful Laura Ashley Chinese Silk Full 54" x 75" Fitted Sheet. Made in USA. Machine wash.
You are buying ONE LOT OF 2 NEW Green Cotton Hospital pillowcase - Size: Standard 50% Cotton,50% Polyester. “The sale of this item may be subject to regulation by the U.S. Food and Drug Administration and state and local regulatory agencies. Buckmark Browning is known for and recognized. The Buckcamo. on the bed or bring Buckmark Buckcamo pink in your RV or in the. nicely shown throughout and the buckmark is featured throughout. 2 Standard pillowcases in various shades of pink with the iconic. Fabric Type: Percale CVC (Chief Value Cotton) 60/40. Finish Size: 78" x 80" 15" (POCKET). Proven Expertise. Thread Count: T-250. For a small difference you are getting a product with a much longer durability, stronger fastness and better optical brightness. Fabric Type: Percale CVC (Chief Value Cotton) 60/40. 54" x 80" 15" (POCKET). Thread Count: T-250. Finish Size For a small difference you are getting a product with a much longer durability, stronger fastness and better optical brightness.